Today I found out what the company name “3M” stands for. While today 3M makes a variety of products from medical and office supplies to electronic circuitry, in 1902 they started out as a mining company, who, as it turned out, wasn’t very good at mining. Specifically, they started out with the intention of mining the necessary types of stone for making grinding wheels and sand paper. Hence, they named themselves after this pursuit: “The Minnesota Mining and Manufacturing Company”, which they later change to simply “3M”. Interestingly, 3M nearly was a failed business almost as quickly as they began. The stone they first mined and sold for making grinding wheels, which was supposed to be corundum, was rather a low grade anorthosite, which was useless for making those products. Not to be deterred, they decided to close down their mining operation and to just purchase the necessary materials for making sand paper and grinding wheels from somebody else. In another of a comedy of near disastrous errors, the shipment of the mineral abrasive garnet they purchased was sent from Europe along with a shipment of olive oil packed next to it. The result of this was that some of the olive oil had seeped into the stones. This was not discovered until after 3M had made and sold the sandpaper with this stone as the abrasive. 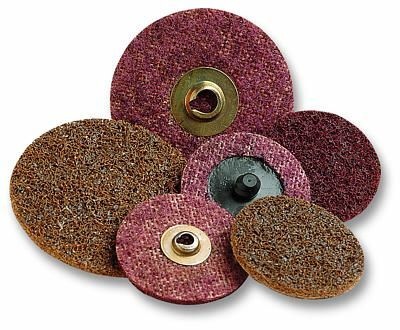 Customers soon complained that the abrasive kept falling off the sandpaper they had purchased from 3M, making it quite useless. At this point, 3M would have gone under had they not first discovered the problem with the olive oil in the mineral and subsequently thought of a way to fix the rest of the stone they had purchased. They fixed the problem by heating the garnet over a fire to remove the olive oil and then made new sandpaper from it to sell. Following this, they decided to start a small laboratory for quality control testing and researching new innovative product. The first product to result from their lab was “Three-M-ite” developed in 1914, which was an abrasive cloth good for metal cutting and which was extremely flexible. They also soon after developed the world’s first waterproof sandpaper. These products quickly became hugely popular and helped make 3M a profitable company by 1916 and one year later sales reached over $1 million for the first time. From those humble and near disastrous beginnings, 3M has grown to a company with over 80,000 employees with 55,000 products, $30 billion in assets, and $26 billion in annual revenue, of which about $4 billion per year is profit. Another huge innovation by 3M in their early years was when one of their lab assistants invented masking tape in 1925. This masking tape was also the first in their “Scotch” brand line of pressure sensitive tapes. Only one year later, they came up with what now is generically called “Scotch” tape (clear cellophane tape). A large amount of anorthosite was among the rocks brought back from the Moon.